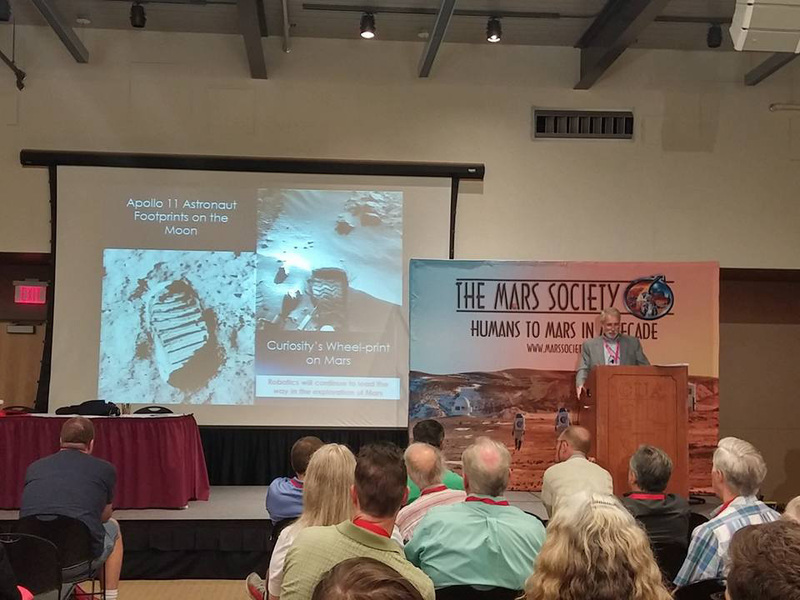 The preliminary itinerary for the 21st Annual International Mars Society Convention is now available for viewing on the organization’s web site. The program schedule includes a series of plenary talks, panel discussions and public debates on issues of great importance to the humans-to-Mars effort, as well as other space-related news. Some areas of discussion will include the future of U.S. Mars exploration, an update on the Mars InSight mission, the debate over planning for the Lunar Orbital Platform-Gateway, the past, present and future of Mars rover missions, the use of VR for exploring Mars, NASA’s search for exo-planets and a full review of the Mars Society’s Mars Desert Research Station and the most recent University Rover Challenge. Please register online for this year’s International Mars Society Convention, scheduled for August 23-26 at the Pasadena Convention Center just outside Los Angeles. Contact us (info@marssociety.org) with any event-related questions, and we look forward to welcoming you next month!